Hola from Barcelona! I’m working my way toward the Camino Primitivo. Over the next month, I will be sharing a few highlights on my Instagram and Facebook accounts. Here’s a roundup of Camino-related events and hikes in the San Francisco Bay Area for the month of May 2018. This is an informal gathering that takes place on the first Saturday of the month, rain or shine. The group meets at the pergola on the east side of Oakland’s Lake Merritt at 10:30 a.m. and starts walking at 10:45 a.m. in a clockwise direction around the lake. It is a paved and level 3.3 mile walk and takes about an hour. Whether you’re a newbie or Camino veteran, everyone is welcome at these monthly walks. RSVP not required, but if you’re on the NorCal Facebook group, join event to see who’s coming. Directions: Take BART to the 19th Street or Lake Merritt Oakland stations and navigate your way to the Pergola. If you drive, make sure to give yourself enough time to find parking, as there are many activities on Saturday mornings in the area. Please note that there will not be a presentation after the walk, but there will be an informal lunch in the area. Sunday, May 6 @ 3 p.m.
Drop by and enjoy a cup of coffee and some Camino talk. 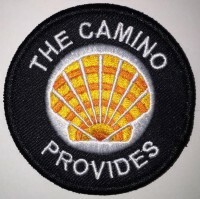 This is a great opportunity for folks thinking about or planning to walk the Camino to chat with Camino veterans about routes, equipment, clothing and other Camino details. Hosted by Judy Barnes. May 9 at 6 – 7:30 p.m.
Power & Performance with Trekking POLES! Whether you’re a beginner hiker, a back packer, a cross-training athlete or someone who faces mobility challenges, learn how and why optimal use of poles significantly improves your performance and confidence on the trail. Using poles while hiking or walking engages your whole body and is terrific exercise. Save your knees as well as improve endurance, balance, spine function, agility, core strength and weight management. Optimal use of poles means achieving the many benefits without creating stress or strain in the hands, wrists, elbows, shoulders, even the neck. This session will include a discussion of movements and techniques that provide a noticeable difference in your spine function and posture. Jayah Faye Paley, creator of 2 award-winning DVDs (www.PolesForMobility.com), will discuss how anatomically-optimal use of poles can expand your horizons and make it easier to enjoy the trails. You spend less time looking at your feet and more time really being in nature. I attended a trekking pole workshop by Jayah to prepare for the Camino, and I highly recommend it. To learn more about the benefits, read the article Pole Walking Can Be Game Changing. Saturday, May 19, 8:30 a.m. – 4 p.m. Looking to do some Camino training? Curious what a 20“k” (kilometer) day is like? How about testing out your pole skills? Then this hike might be for you. Starting in Shell Ridge Open Space, we’ll take the Briones to Mt. Diablo Regional Trail and skirt through Diablo Foothills Regional Park before entering Mt. Diablo State Park. Sticking to the foothills, we’ll tackle a series of “up & downs” with elevation gains of up to 500 feet, covering about 11 miles. After lunch, we’ll loop back with a visit to Old Borges Ranch. Led by NorCal Chapter Coordinator Guy Joaquin. Saturday, May 19 @ 9 a.m.
Meet at the Woodside Elementary School at the corner of Woodside and Ablion. Parking available at the school. We’ll walk from the school to Huddart Park. Options of 2 miles, 4 miles, 5 miles and 9 miles round trip. Lunch afterwards at Buck’s. For trail maps and more info go to parks.smcgov.org/huddart-park. 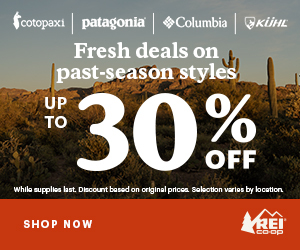 Bring the usual-water, snacks, good hiking shoes and sunscreen. Hosted by Judy Barnes. Join Guy Joaquin and other pilgrims at Happy Hour at Pizza Antica in downtown Lafayette. Their front patio will be ideal for the sunny and warm weather is forecasted. Here’s the Happy Hour menu with small bites and drink specials (http://www.pizzaantica.com/happenings-lafayette/2016/12/28/happy-hour). Pro Tip: One of their small pizzas off the main menu with a “glass of” makes a perfect meal-for-one. Pizza Antica is less than a half-mile walk from the Lafayette BART station. Because the Bay Area has so many great restaurants, we like the idea of trying a different one each month. If you have a recommendation for the next Happy Hour, please share! “BARTable” is a plus! I’m sharing an event hosted by Camino friends Dave Jennings and Monica Armanino. An open invitation to Pilgrims, both those who have walked a Camino to Santiago de Compostela, and those planning to walk a Camino in the near future. Join Dave and Monica for a weekend of hiking, and experience or rekindle the ‘SPIRIT’ of the Camino de Santiago. All amidst the natural beauty of the Sierra Nevadas. Share Camino experiences, community meals, Pilgrim Mass, Camp-out in the pristine mountain setting at 8900 ft. on Mt. Rose (North Lake Tahoe), or enjoy the hospitality of a veteran Pilgrim’s home. A heart and mind altering experience. Limited group, reserve early. There is no charge, like much of the Camino it is all Donativo. I had the pleasure of meeting Dave and Monica at a hike in Pt. Reyes when I was preparing for the albergue experience. Have a wonderful time in Malta — they are really nice people. You will find a lot of Galea’s there. You can tell them you know one from San Francisco. Let me know how it goes (I’m envious). Laurie, que tengas un buen viaje en Italia y Espana.